Annelie from Sweden is our most recent Promessa Ambassador! 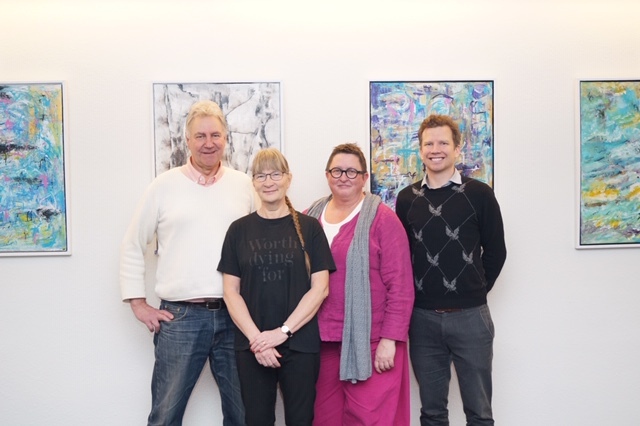 During our Promessa Masterclass held in Denmark in January, we not only welcomed our Representative for the Nordic region, but we also welcomed an additional Ambassadors as well. Annelie Berntsson Berg is her name and with her newly received education she is looking forward to help spread the word of Promession. “Annelie is a wonderful person who have been following and communicating with us over a long time. She has been great at spreading the word and knowledge about promession, and she wanted to take ther engagement a step further by becoming Ambassadors and participate during our Masterclass to get an in dept understanding of everything related to the promession process” says Promessa’s CEO and Founder Susanne Wiigh-Mäsak. The Promessa Ambassador program was developed to help spreading correct information around Promessa’s ecological and environmentally friendly burial, promession®, and the new clean cremation option. Promessa HQ daily receives multiple contacts through email or phone, with questions and requests for further information. It can be from businesses, governments, journalists, academia/students or individuals. In addition, we know there are many more interested in learning about promession, but because Promessa is a Swedish company, the barrier to contact us might be too high. By having locale and native ambassadors and Representatives around the world we believe it will be easier for interested parties to contact the ambassador instead of the Swedish HQ. An ambassador participates in the same Promessa Masterclass Education Program that our becoming partners do to get the same understanding of all aspects related to promession. The Ambassador is also assigned a mentor at Promessa that she/he can contact for any follow up questions. In addition to further education and interesting studies, the Ambassador also receives the latest information about the company. We welcome Annelie Bernberg to our growing Promessa family. If you are interested in learning more about our Ambassador program please send an email to info@promessa.se requesting more information.